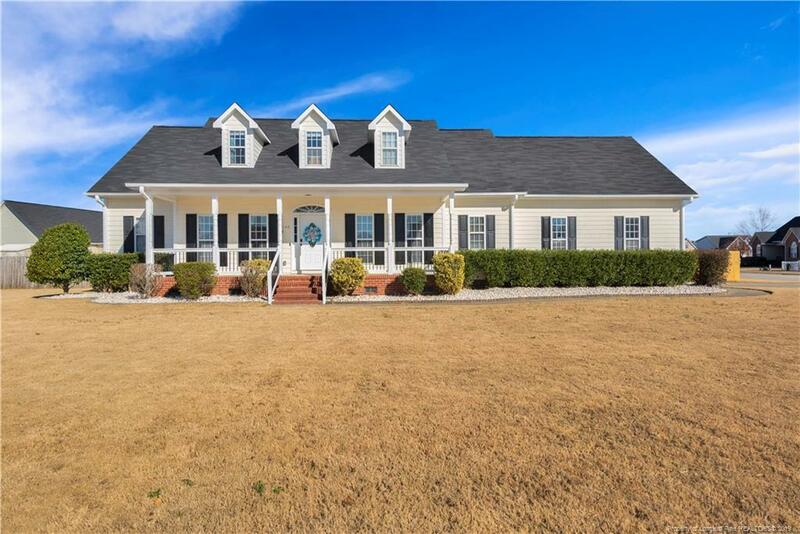 This beautiful 2-story home, located in the Jack Britt school district, sits on a large corner lot w/irrigation & manicured lawn. Master suite is downstairs & 3 additional bedrooms upstairs plus a bonus w/closet (could be 5th bed.). Formal DR & study, great room w/fireplace. Kitchen features tile flooring & backsplash, SS appliances & breakfast nook. Large laundry room & half bath downstairs. Fenced backyard with deck is perfect for entertaining. Roof is less than 3 years old & carpet has been replaced. One-year home warranty. Directions: From Raeford Rd, Head South On Hope Mills Rd. Right Onto Cumberland Rd. Right Onto Bingham Dr & Immediate Left Onto Fisher Rd. Left Onto Lakewood Dr. Left Onto Franciscan Dr. Left Onto Lambrusco Pl. Right Onto Danzante Pl. Home Will Be On Left. Selling Office: Red Carpet Realty Inc.